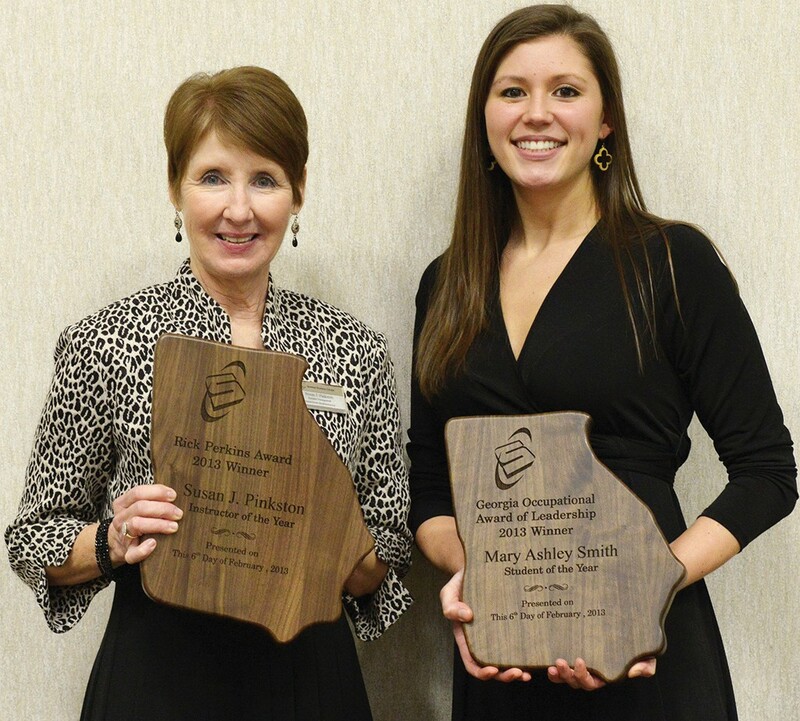 Susan Pinkston, STC department head for business management (left), and Ashley Smith, dental hygiene student (right), were honored by Savannah Technical College as its Instructor and Student of the Year for 2013. Savannah Technical College announced its selections for the best of the best in 2013. Ashley Smith, a dental hygiene student, was named the College’s 2013 honoree of the Georgia Occupational Award of Leadership (GOAL) award, and Susan Pinkston, STC department head for business management, was selected as the College’s 2013 Rick Perkins Award for Excellence in Technical Education honoree. GOAL, a statewide program of the Technical College System of Georgia (TCSG), honors excellence in academics and leadership statewide among the state’s technical college students. Smith is one of four finalists of the 44 nominated STC students. The Perkins Award honors technical education’s most outstanding instructors. The award has been an ongoing statewide program since 1991, and the recipients are technical college instructors who make significant contributions to technical education through innovation and leadership in their fields. Pinkston, the College’s 2013 Perkins honoree, has been the department head for business management at Savannah Tech since 2006, when she created and implemented the business management program at the College.